Brain tumor — the very words strike fear in the heart of anyone threatened by one. It once was considered one of the most frightful events that could occur. Today, however, with improving technology and the gradual unfolding of scientific understanding of the basic biology of brain tumors, patients and families can look to the future with considerably more hope. Scientists, physicians and researchers ponder the limitless questions concerning brain tumors: What does a brain tumor do? How does it really function? Why can’t we get rid of this thing now? Why did person A get a brain tumor and not B? What causes brain tumors? These are just a few of the hundreds of questions plaguing scientists, researchers, as well as patients, their families and their physicians. The brain is an incredibly complex organ. 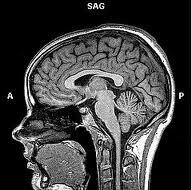 Like a true resident in an Ivory Tower, the brain lives apart from, and quite differently than, the rest of the body. The brain contains about 10 Billion (10,000,000,000) working brain cells. They are called neurons and make over 13 trillion (13,000,000,000,000) connections with each other to form the most sophisticated organic computer on the planet — maybe even the universe. By today’s computer standards, the brain far exceeds any network of linked state-of-the-art computers. Despite such complexity, most of the brain is made up of supporting cells. The vast majority of these are called astrocytes. These cells are the support “stuff” of the brain, and serve as a scaffold for the working brain cells and other structures. Oligodendrocytes, another type of brain cell, are much fewer in number; they are primarily responsible for making the covers (called myelin) for the vast wiring system of the brain. 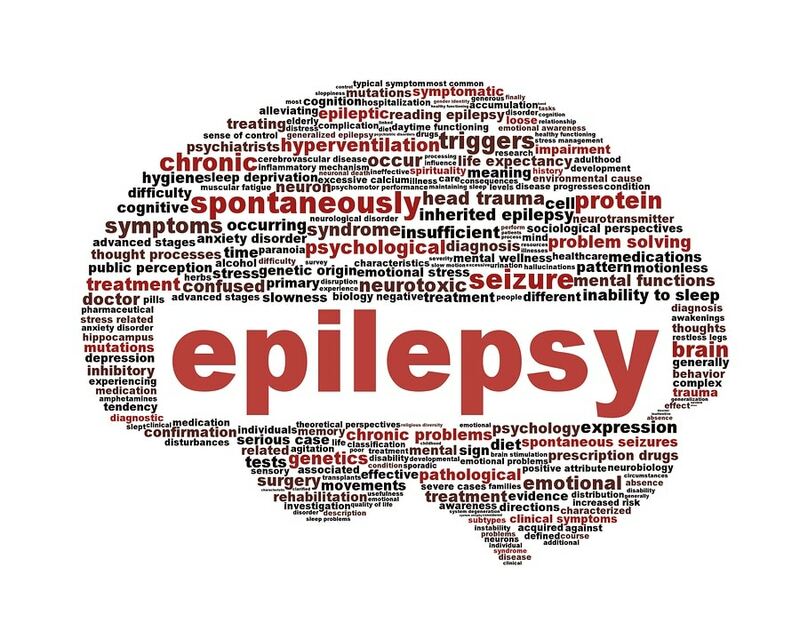 The ependymal cells are fewest in number; they simply cover the inner surfaces of the brain called ventricles. The entire brain floats in a self contained sort of womb, and like a fetus, is surrounded by and filled with a watery fluid known as cerebrospinal fluid (CSF). These fluid spaces, when obstructed by a tumor, may enlarge and cause dangerous increases in pressure within the closed box of the hard skull. 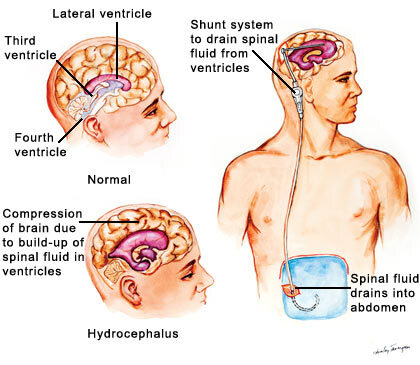 This is referred to as hydrocephalus or water-on-the-brain. The brain has various coverings (meninges or dura), just like a wet football with its inner bladder and outer pigskin shell. They hold things securely in their proper place. The cells of the meninges are unique, and some of them are capable of filtering the brain fluid (CSF) back into the bloodstream by a sort of one way valve system. They are called arachnoid cap cells. Also, attached to the brain are a couple of hangers on. Literally, hanging beneath the brain is the pituitary gland, a kind of Wizard of Oz box of hormonal cells that control almost all of the body’s hormonal systems. Hanging just behind the brain is a little pine cone called the pineal gland, the “third eye.” It tells the body when it is day and when it is night via its now well-known brain hormone, melatonin. Brain tumors can arise either from the brain itself (primary brain tumors: astrocytoma, glioblastoma, oligodendroglioma, ependymoma), or its coverings (meningiomas, pituitary tumors, pineal tumors), or the nerves at the base of the brain (acoustic neuromas, schwannomas), or even from outside the brain (metastatic brain tumors) . This last case occurs when cancer cells travel through the bloodstream and lodge in the brain. The vast majority of brain tumors are primary. Of these, the malignant astrocytoma and glioblastoma multiforme are the most common, and they are responsible for the bad reputation that brain tumors carry. Brain tumors are not cancers. They grow only in the brain itself and almost never travel beyond the brain. They don’t metastasize or spread. Treatment should be limited to the brain. Benign is not always “benign.” Low grade gliomas, although called benign, often grow inexorably, albeit slowly. They involve the whole brain. Even though they seem to grow locally, tumor cells travel around the brain and are always found beyond the tumor margins, even on the opposite side of the brain. Benign tumors may be malignant by location — easy tumors in tough places. True tumor margins do not exist. Total removal by local therapy (surgery, radiation, heat, cold, etc.) is not possible. The brain is immunologically isolated. The blood:brain barrier is real. Many helpful treatments can’t enter the brain via the bloodstream. 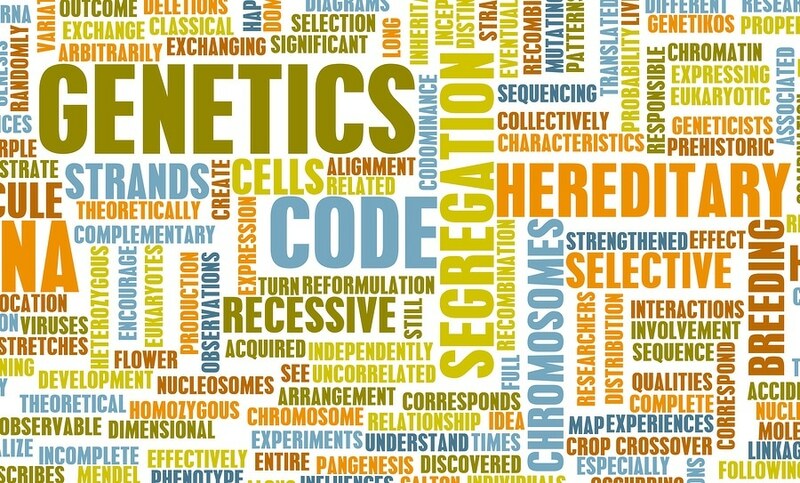 Each clone has differing sensitivity (or resistance) to anti-tumor treatments. Each clone has its own cell cycle time, doubling time, etc. With these observations in mind, the treatment of primary brain tumors has been sharply focused, because only the brain needs to be treated, not the entire body. However, the treatment of brain tumors is difficult because of polyclonicity, the blood:brain barrier, the diffuse infiltrative nature of these tumors, and the perilous location of some tumors. Spare the remaining normal brain. Therefore, any therapy aimed at controlling the growth of this tumor must recognize the above dynamics. Therapy must catch the cells at the appropriate phase of the cell cycle (when they are sensitive to treatment), take into account tumor doubling time, and acknowlege that the growth fraction is relatively small. The blood supply to the tumor is peripheral, surrounding rather than entering it. The center of the tumor (necrotic center) contains living tumor cells. Therefore, much of the tumor is virtually unavailable to chemotherapy, radiation therapy, immunotherapy or any other therapy. “Standard therapy” in this country has failed to be effective, despite spawning 400-plus new and different protocols. This presents a mind-boggling problem for patients and their families, especially when ofttimes they don’t even know what a brain tumor really is. Adding to the confusion is the enormous proliferation of new technologies available to treat these tumors: lasers, stereotactic computers, cryosurgery, thermal killing machines, ultrasound, radiosurgery, the Gamma Knife, the X-Knife, photoirradiation, blood:brain barrier disruption, boron neutron capture, etc. 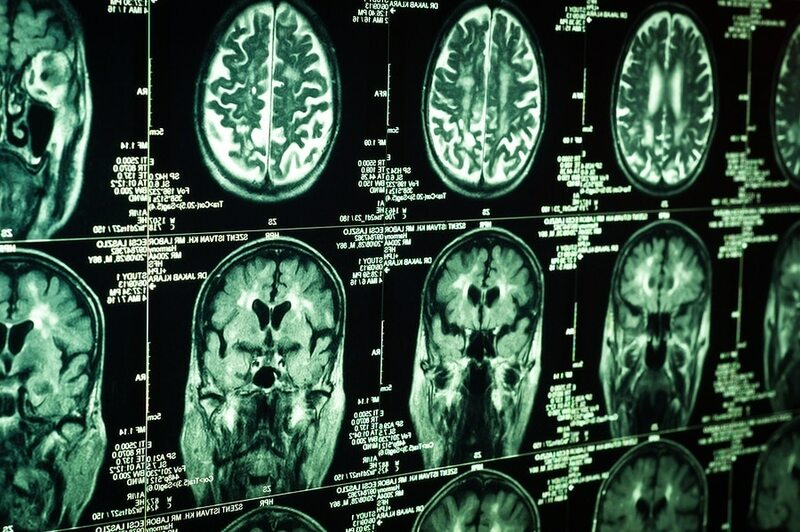 Where do science and technology meet the logic of brain tumor biology? What is purely experimental? What is logically worth the effort? What are the numbers? Where does a therapist’s enthusiasm for new technology or protocol end, and logical approach to these tumors begin? These are just some of the newer questions which arise during the first weeks after coming in contact with a malignant brain tumor. Considering all of the above, the following is a suggested method for approaching the therapy of malignant primary brain tumors. Be logical. 100 gm of tumor = 100 billion cells, approximately. If a tumor size can double in volume in a matter of weeks, it would make sense to decrease the size of the mass of the tumor right away. Otherwise, a patient could not make it through a treatment course. Surgery is the way to radically reduce the volume of a tumor, removing anywhere from 80 to 99% of the tumor mass. 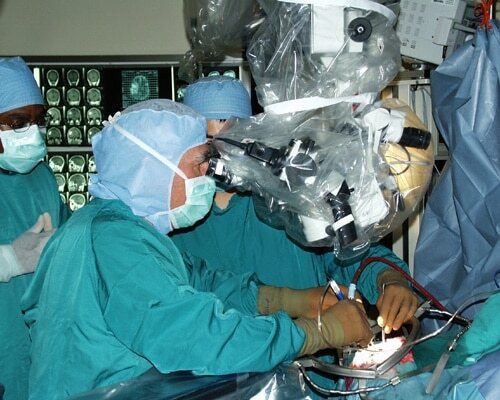 Recent advances in surgical technologies have aided in the removal of brain tumor tissue with a newer, higher net percentage tumor reduction of 90-99%. These include computer assisted stereotactic surgery, laser instrumentation (carbon dioxide, argon, and Yag), ultrasonic aspiration, operative phototherapy, etc. Thus, no matter how good the local surgical therapy is, the patient is still left with at least 1 billion tumor cells! There now remains a combination of therapies: follow up the initial volume reduction therapy with something else. The usual choices are radiotherapy or chemotherapy. In the best of circumstances, one could expect another 90-99% reduction in tumor cell number. Another 90-99.9 % cell reduction still leaves 1 million to 100 million cells. The logical procedure now would be to hit the tumor again with yet something else, (usually radiation or chemotherapy) that might attack the remaining cell population. If left without treating a third time, it is possible that the tumor could return to its original size in as few as 6 weeks, factoring in the numbers mentioned above. A number of local therapies are under study at present, including focused beam radiotherapy proton beam radiation – the Gamma knife, linear accelerator – the “X-knife,” brachytherapy – radiation seeds implanted into the tumor bed, cryotherapy, thermal therapy, ultrasonic therapy, phototherapy, drug and immunotherapies injected locally into the tumor bed via an Omaya reservoir, intrarterial therapy – selective exposure of involved brain via angiography. In other words, we can “zap” the tumor locally in various ways: freeze, heat, shake, pickle, radiate and expose it to other local insults. Local therapy, however, still leaves a significant number of malignant cells in the brain far away from the area of a local treatments exposure. By design, then, all local therapies always leave that 1 million to 100 million cells behind to grow back in a matter of weeks or months, simply because they never address those tumor cells that lie beyond the area of treatment. Whole brain therapy, on the other hand, heeds the logic that these tumors must always be considered to involve the entire brain. Therefore, the only treatment that could logically provide any hope for cure, or at least long term remission, should treat the entire brain. Some such therapies include: systemic chemotherapy, whole brain radiation, and theoretically, immunotherapy. Radiotherapy: The dosage needed to cure all malignant brain tumors is approximately 12,000 Rads. However, such a high dosage is also extremely neurotoxic and therefore deadly. Thus, radiation doses of 5,000 to 6,000 rads have been commonly used. These doses can have an “acceptable” brain toxicity rates. Unfortunately, only the very, very rare tumor is adequately treated with this charge. Chemotherapy: An extraordinary compendium of chemotherapeutic agents is under development at present — thus, the large number of new protocols seen every year. Agents that cross the blood:brain barrier are logical candidates for a future cure. Agents that don’t naturally cross the barrier can be helped along with what is known as blood:brain barrier disruption, usually with agents such as mannitol or leukotrienes. Immunotherapy: The future holds great promise for immunotherapeutic approaches. At present, the combination of the impenetrability of the blood:brain barrier, the immunologic isolation of the brain from the rest of the body, and the larger size of immunologic molecules and cells has prevented the effective marshalling of the body’s best defense system to any significant degree. First, speak at length to your neurosurgeon and neuro-oncologist. Try to concentrate on local, tumor bulk reduction as the first move, to be followed later by whatever is both aggressive and capable of treating the whole brain. As there are so many protocols, find out who in your area has a specific interest in brain tumor therapy, and go with what they are best at. Alternatively, one can consider going to another locale for treatment. Most of all, feel comfortable with your choices, and go with them. Almost always, within weeks of learning the diagnosis, people seem to come out of the woodwork with all kinds of alternative therapies. Such suggestions invariably lead to second guessing and further worry during difficult times. If you realize that you have already researched pretty well, remain confident with you original decision, at least for the duration of the initial course of therapy. After that, go with what works, when it does work. Always remain ready to change therapeutic course, if it is very clear that a specific choice is not proving successful. In most instances, the combination of CT Scan and MRI are more than enough to plan surgery. However, there are times when further study is needed to either guide the surgeon or to accurately localize areas of “eloquent” brain that the surgeon must avoid. “Eloquent” refers to those areas which control speech, motor functions and senses. The simplest “localizing” scan is done by CT or MRI, and either a small metal marker (CT), or vitamin E capsule (MRI), is positioned directly over the most superficial point of the tumor, or away from eloquent brain tissue. The skin is then marked and the surgeon is given sure he is in exactly the right spot. This method is particularly good for superficially placed tumors. In the operating room, the surgeon can then use real time intraoperative ultrasound to “see” the tumor below the surface prior to incising the brain. With computer technology, computer-assisted, 3D-sterotactic localizing and guidance devices have been devised. These have been extremely helpful for tumors with complex shapes and/or deep-seated locations. It is kind of like having an assistant who is smarter than the surgeon in the operating room — a wonderful asset. Areas of brain to be avoided (“eloquent” brain areas, for example) can be localized prior to the operation by a number of techniques. These include EEG brain mapping (either directly on the brain with grids, or with a computed analog system), as well as encephalomagnetic studies, non-invasive, talk, and the eloquent brain area lights up), PET scanning, and at times SPECT scanning. These include astrocytoma, grades I and II, oligodendroglioma, ependymoma, and a mixed cell tumors called the gangliogliomas. Remember that benign is not always benign. When a tumor appears to grow with some speed, the tumor should be viewed in a different light and a more aggressive approach must be taken. One approach is to observe lowgrade tumors after the initial surgery or brain biopsy has been completed; it is necessary to assess their growth potential. Individual tumors, like people, seem to have personalities of their own. Different tumors behave differently. Why do a biopsy, if surgery does not “cure” the tumor? Why not just follow the MRI scans over time to assess the growth potential of a particular suspected lowgrade tumor? Occasionally a surgical cure is possible, depending on the diagnosis and location of the tumor. (e.g. microcyctic cerebellar astrocytoma, certain gangliocytomas, pleomorphic xanthoastrocytoma, “hamartomas”). Therefore, the biopsy information is of great importance. Another approach is to treat all low grade tumors with surgery and/or brain biopsy and radiation therapy. However, the jury is still out on the effectiveness of radiation for these tumors, especially the lowgrade astrocytomas. Meanwhile, in long-term survivors, it has been shown that both malignant astrocytomas and meningiomas can actually be induced by radiation. The most common tumors in children are the astrocytomas and medulloblastomas. The medulloblastoma is one of the primitive cell tumors of children, as are another class of even more primitive tumors, the Primitive Neurectodermal Tumors (PNET). Some tumors in children (such as the microcystic cerebellar astrocytoma, and the subependymoma) may be truly benign, while other astrocytoma subtypes (including the optic, chiasmatic and hypothalimc astrocytomas, as well as some of the brainstem astrocytomas of children) may grow slowly but inexorably. In children, the need for more than just whole brain therapy is most important for craniospinal therapy. In children, the primitive tumors tend to “shed” tumor cells into the fluid spaces in and around the brain and spinal cord, causing distant tumors to grow. The meningioma is the neurosurgeon’s “friend” and often his most enduring challenge. For both the physician and patient, this tumor carries a true tag of benign. It also carries the possibility of cure in approximately 80% of cases. Thus, the long-term outcome for a patient with this tumor is a direct function of the skill and assiduousness of the surgeon who removes it. Elsewhere in the Brain Surgery Information Center’s Primer on Brain Tumor Biology, it was mentioned that “benign” often does not really mean benign. Be assured that in this case, the tumor really is benign. 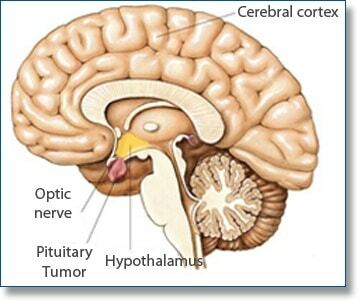 As mentioned earlier in the Primer, each type of brain tumor arises from a specific cell type. 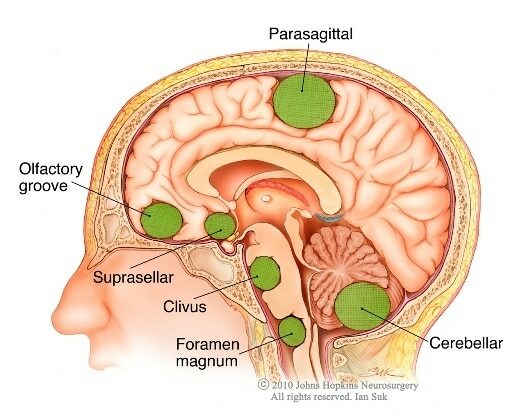 The cell of origin for the meningioma is call the arachnoid cap cell, found on the surface coverings (called meninges) of the brain in the paccionian granulations. These serve as the one-way valve system between the water system of the brain and the veins that drain from the brain to the heart. Interestingly, these tumors have an embryologic relationship with cells found in the muscle layer of the utereus. In fact, it is exceedingly difficult for the pathologist to distinguish the meningioma from the fibroid tumors of the utereus under the microscope. Also, they share the characteristic female hormonal receptors (estrogen and progesterone) on their cell surfaces. This characteristic has lead to the testing of anti-estrogen receptor agents, such as tamoxifin, as a growth-inhibiting agent in these tumors. Clinical studies to date have failed to provide siginificantly positive results. Meningiomas are rarely malignant in their behavior. But when malignant, meningiomas grow rapidly and are destructive; they are quite difficult to treat, and often recur in less than a year after surgical removal. They are also difficult for the pathologist to diagnose under the microscope. Probably the only finding that correlates well with the diagnosis is that of numerous cells seen in division (“mitosis”). The pathologist may occasionally refer to brain and skull invasion, cells with an abnormal appearance, or other bizarre findings, however none of these completey fit the diagnosis. Ultimately, the diagnosis is determined by the activity of the particular tumor over time. 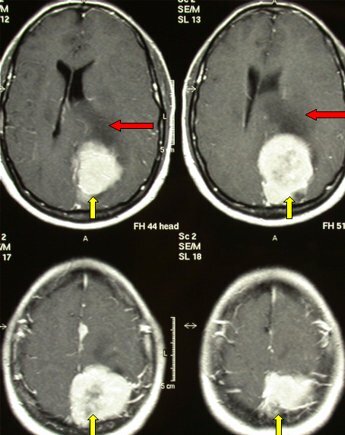 A cousin to the meningioma is the hemangiopericytoma. The cell of origin for this tumor is the perivascular pericyte (located around blood vessels). Although very similar to the benign meninigiomas, these tumors tend to recur with great rapidity (less than one year) and frequency. Some physicians classify these tumors with the malignant meningiomas.